Vandy Legends Charity Game to support the YWCA. Hosted by Jordan Matthews and Matthews Mission. NASHVILLE, Tenn. – Vanderbilt athletes teamed up with community leaders to raise money for a good cause. The second-ever Vanderbilt Legends Charity Softball Game was held at Hawkins Field Saturday night. It started with a home run derby that was followed by the game. 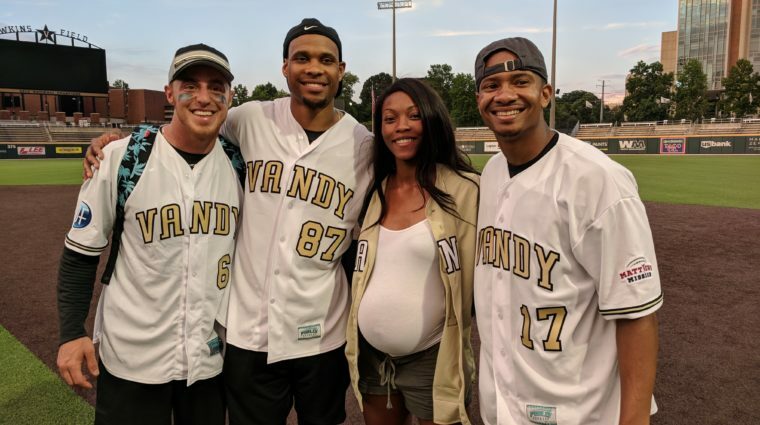 The game featured stars from the university’s football, basketball, and tennis programs, including Jordan Matthews, Jordan Rodgers, and Shan Foster. Participants said it was a great opportunity to have fun and give back to the community. The event raised money for the YWCA’s Domestic Violence Services programs. Click here to watch the NewsChannel 5 Video.